E/N/T (Otolaryngology) is the musical pseudonym of New Zealand born artist Nathan Taare. E/N/T is sonic art, with a political statement that takes Ideas and motivations from noise-rock, post-punk and music as sound installation to create an intriguing and wonderful collage of moods and movements. Nathan’s intention is to provide a therapeutic moment in time for audiences to share his colorful, altered and painful view of reality. Taare, seemingly influenced by anything and everything he encounters (travel, music, the “bleak reality and toxicity of consumerist culture”) is always seeking new experiences to capture through sample collecting and field recording. He travels the globe and uses his experiences as inspiration for his works including being locked up in a Mexican prison after a downward spiral of corruption with the federal police! E/N/T has been based in his motherland of New Zealand, touring extensively and writing and recording for a new full length album due for release September 2017. 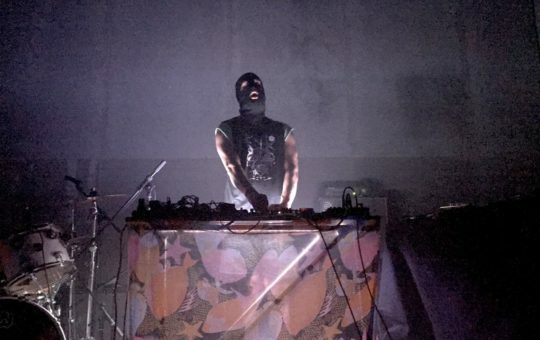 "He’s as much sound-artist as musician, and his creeping/creepy, menacing works are trans-genre in nature and approach, in fact post-genre, they trudge slowly, beat-less, through punk, noise and lo-fi worlds, with a post-modern/performance-art gleam in their eye. " "It’s extremely colorful, actually, it’s like viewing the jungle through tinted lenses while high on dramamine. It’s not “dark”, it’s disorienting. It holds to a dream logic all its own. "